Rocky Mountain Throat Syrup™ 2 oz. Bulk Discounts for Rocky Mountain Throat Syrup™ 2 oz. Rocky Mountain Throat Syrup™ is a cherished herbal formula revered for over 40 years. 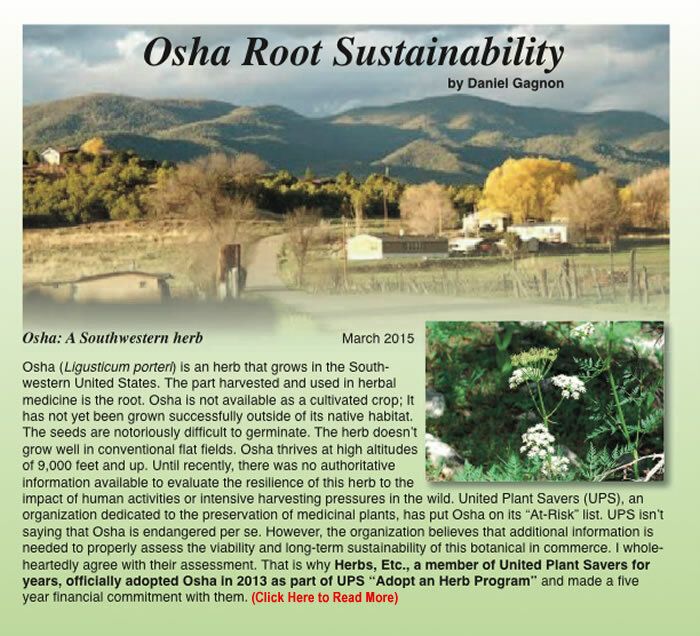 In the Southwest, the Native American and Hispanic cultures consider Osha root the must-have herb to maintain respiratory health. Rocky Mountain Throat Syrup™ provides a protective coating that soothes and comforts throat tissues. It thins and liquefies thick mucus. This formula gently dilates the bronchioles and promotes sinus, throat, and lung health. Once you experience the benefits of Rocky Mountain Throat Syrup™, you'll make sure it's always in your medicine cabinet. Suggested Use: Adults: Take 2 teaspoons every three to four hours. Children 5-12 years: Take 1 to 2 teaspoons every three to four hours. Children 2-5 years: Take ½ to 1 teaspoon every three to four hours. I personally find this product to be very helpful with excess secretions. I have advised to both to other healthcare providers and patients. It is an excellent formulation (although I preferred the less sweet version.) I always keep it on hand. Tastes good; works great. Soothing to the throat. This product has been my family's go-to for the past 15 years. The Throat Syrup helps immensely. It coats the throat and sped along (in my personal opinion) the healing. HERBS, ETC. has never disappointed. THANKS! I am never without this syrup in my house. It is by far the best throat syrup and it helps me at night time. Really well-constructed formula. Thanks. Virginia Adi R.N. Herbalist. It took a few doses before I noticed a difference...it does work! Has a unique taste--kind of like celery. Recommended it to a family member. I woke up one morning feeling like I needed help, went to Natural Grocers and found this tincture. Seriously the next morning I could feel all the crud that was built up just leave me. Two days later I was all better! Powerful and effective herbal treatment. Thank you! Rocky Mountain Throat Syrup™ 4 oz.